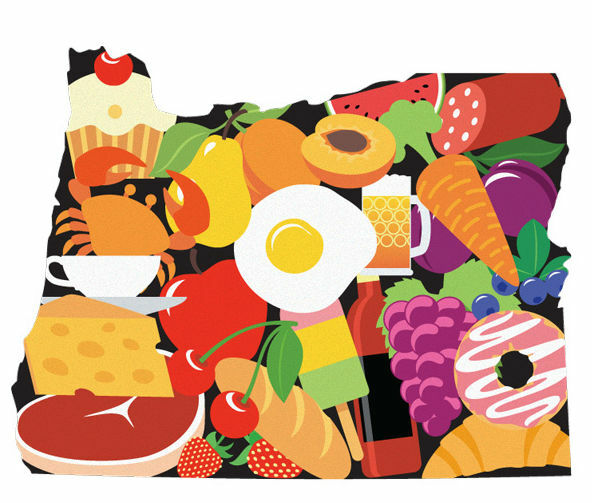 In the weeks that passed between the time our editors researched and wrote “The Art of Eating Cheaply” and the time Portland Monthly went to press, something rather unfortunate happened: Prices went up. And not just on a couple of dishes, either. The cost of at least 17 menu items increased between 5 and 30 percent—affecting everything from Broder’s aebelskivers to Piazza Italia’s pasta alla bolognese to Hot Pot City’s all-you-can-eat meals. In fact, we almost had to drop certain restaurants from our list, since meals there came dangerously close to busting the limit of what we’ve defined as “cheap”: $25 for two people. “Don’t shoot the messenger,” fact-checker Peter Beland told senior editor Camas Davis when he delivered news of the price changes. Meanwhile, for Bottom Line (“The Stalk Market”), writer Tom Colligan was researching how the global wheat shortage was affecting our local economy. For Portland’s bakers, these are tough times: Grand Central Baking Company expects to pay just over $1 million for flour this year—a 257 percent increase over what the bakery paid in 2005. Nor, as you know, is it a good time for consumers—for no matter your income, more of your hard-earned dollars are going to buy the groceries that most families consider essentials, like eggs (up 35 percent in the last year, according to the Bureau of Labor Statistics) and milk (up 23 percent). The other day, just outside my neighborhood grocery store in Hillsdale, I saw two elderly women fish a receipt from a canvas bag and peruse it, item by item. The looks on their faces said it all: How in the world did it add up to this? But perhaps no one understands the impact of rising food prices as much as our city’s food pantries. Demand for the Oregon Food Bank’s emergency food boxes has increased significantly at half of its 20 regional food banks this year. Its supplies also have taken a serious hit: Prices for most staples (such as mac and cheese and beef stew) that the bank buys for distribution to low-income families and individuals have gone up, which means its dollars can’t feed as many people as it once did. In addition, donations from food processors and the USDA have dropped off. Customarily, people open their checkbooks around the holidays. But if you are one of the fortunate ones, as I am, who can weather rising food costs without going into debt, then I hope you’ll consider donating now. Me, I’m giving $100. You also can donate much-needed cans of food (find out where to drop them off at www.oregonfoodbank.org). And if you are one of the fortunate ones, as I am, who has a salary that allows you to continue to dine out, then I am happy to report that one item that did not increase in price is that towering burger on the cover, which you still can purchase at Slow Bar for the low cost of $9. Trust us: It’s worth every cent.